A feast of family can be a plate-load of problems! It’s the Sixties. Modernity and tradition clash as two newlywed couples set up house together. Dee and her daughter Valerie move with their husbands into a modern glass house Valerie built in a proudly rural Los Altos, California neighborhood. When their young relatives start showing up and moving in, the neighbors get suspicious. Then a body is found in the backyard and the life they are trying to build comes undone. Father Mike is back to guide Dee through a difficult time with humor and grace, even as his own life is unraveling. Now he’s going to have to take some of his own advice about love. The Lyre and the Lambs explores the passions that draw people together and the faith it takes to overcome trauma. *Note: The Lyre and the Lambs is the sequel to The Sheep Walker's Daughter, but it also works as a standalone book. The Lyre and the Lambs is available in print or as an e-book at Amazon and Barnes & Noble. To win a copy of The Lyre and the Lambs, please enter using the Rafflecopter form at the bottom of this post. The giveaway contest closes Friday, Sept. 12 at 12:00 EST. We will announce the winner on the same day using the Rafflecopter widget. Good luck! Sydney Avey is an author of historical and women’s fiction set in California. The Lyre and the Lambs is the sequel to her first novel, The Sheep Walker’s Daughter, which won an honorable mention from the Center for Basque Studies (University of Nevada, Reno) in their Basque Literary Contest. Both novels were published by HopeSprings Books, a small publishing house that promotes realistic Christian fiction. Sydney has a lifetime of experience writing news for non profits and corporations. Her work has appeared in Epiphany, Foliate Oak, Forge, American Athenaeum, and Unstrung (published by Blue Guitar Magazine). She has a bachelor’s degree in English from the University of California, Berkeley and has studied writing at the Iowa Summer Writing Festival. She lives with her husband Joel in the Sierra Nevada foothills of Yosemite, California, and the Sonoran Desert in Arizona. 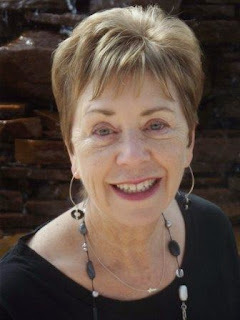 Visit Sydney at www.sydneyavey.com and sign up to receive her monthly News for Readers and Writers. WOW: First of all, congratulations on the publication of the sequel to The Sheep Walker's Daughter! We are so glad you decided to promote The Lyre and the Lambs through our blog tours. I see from your publication credits that you’ve been published in a variety of places—from literary magazines to parenting publications to faith-based websites. You’ve also written for non-profits. What led you to start writing fiction? Sydney: I’m one of those people you see on the street corner holding up a sign that says “Will write for love or money,” but creative writing is what I’ve wanted to do since I could hold a pencil. I knew coming out of U.C. Berkeley that it wasn’t likely I would be able to earn a living writing novels. I set aside that dream and cobbled together a career in high tech marketing communications that allowed me use my writing skills. Still, I held on to the idea that one day I would be in a position to live the writing life—choose where, when and what I wanted to write. That dream came true when my husband and I wrapped up our busy careers and moved to the Gold Country in Northern California. WOW: I completely understand having to balance "paying work" with creative writing. It looks like it has worked out well for you! You published both The Sheep Walker’s Daughter and The Lyre and the Lambs through HopeSprings Books. Can you tell us little about that querying and acquisition process? Sydney: HopeSprings Books is the fiction imprint of Chalfont House, a small publisher in Virginia. They are on the American Christian Fiction Writer’s list of recognized publishers (I checked). They put out a call for manuscripts in either Writer Magazine or Poets and Writers and I responded with an email query. They responded by asking to see the first three chapters and then the entire manuscript. Then I got the letter I’d been waiting for, the one that says “We love your book and we would like to publish it.” Then they sent me a contract to sign that spelled out the relationship, responsibilities, terms and conditions. The acquisition process was similar to the traditional one with one big exception. There was no agent involved. That meant I had to come up to speed on contracts by myself. I did my research and showed the contract to my husband, who understands publishing contracts. When I was satisfied that the contract was a standard one, I signed. It has been a very satisfying relationship. WOW: One of your blog tour guest post topics is “The Adult Orphan.” Can you give us some insight on how you came up with this topic and how it has affected the storylines of your novels? Sydney: I stumbled upon this term when I was researching the topic of women who lose their last parent before they get satisfactory answers to questions they may have about their ancestry. At first, I didn’t like the term. We think of an orphan as a child whose parents die. I had just lost my mother, who outlived my father by only one year. To think of myself as an orphan seemed childish. However, my research confirmed what I was hearing from other adult orphans and experiencing myself. Adults experience the loss of parents in ways that are different from children, but just as devastating. You now have the leadership role in your multigenerational family, and you are next in line to die. A lot of emotion is attached to both these realities. The Sheep Walker’s Daughter explores what happens to Dee Moraga Carter when her mother dies and she is left not knowing who her father was or what her cultural heritage is because her mother took this secret to the grave. It’s a watershed moment. Does she really want to know, and what is she willing to do to find out? I don’t think it gives too much away to say that in the The Lyre and the Lambs Dee has the answers to those questions, and it raises a whole new set of questions. A decade later, she is embroiled in the affairs of multiple generations of her family, trying to find her place among people she didn’t know existed until after her mother died. WOW: The Sheep Walker’s Daughter takes place in the 1950s and The Lyre and the Lambs in the 1960s. What do you think is the most difficult thing about writing fiction that takes place in a previous time period? Sydney: I think that depends on whether you lived in that period of time. It was a bit shocking to me to discover that the time when I came of age is now considered history! The most difficult thing for me was not to rely solely on my memory of the town I grew up in. People often remember events differently from how they actually occurred. Those who lived through the same time period are bound to have various takes on the same situation. I wouldn’t call it a difficulty, but it was a challenge to verify what I could and know when it was acceptable to make up the rest. For example, Lundy Lane is a real street near Loyola Corners in Los Altos, CA. Although the neighbors are fictional, some of the details about the neighborhood are true in fact, others in spirit. WOW: The Basque culture is woven throughout the narrative of The Lyre and the Lambs. Can you explain a little more about that and how you came to write about the culture during the 1950s and 60s? Sydney: I think one of the things that made The Valley of the Heart’s Delight, now known as Silicon Valley, special was the contributions of the immigrant populations. When I was growing up, we were taught in school that America was a melting pot. People were expected to assimilate into the culture, bringing their own flavor to the stew. I don’t think it’s possible to write about California without addressing the immigrant experience. Most all of us came from somewhere else, and not that long ago. Even though my mother kept a secret about her heritage, I didn’t want this to be my story. That’s why I chose a culture different from my own. I picked the Basques because so little is known about them unless you happen to live near where they settled. I wanted readers to journey alongside Dee with no preconceived ideas about the Basque experience. Discovering there was a large Basque population in Bakersfield, just four hours away, was golden! It gave Dee access that worked for the story, and it gave me opportunity to do original research. I ate dinner at The Noriega Hotel with Basque sheep herders who walked the sheep during the Forties. That’s when I learned that the Noriega had never actually been a hotel. It had been a boarding house for men who hopped off the train and crossed the tracks to find jobs in Kern County. Today it is a James Beard Award winning Basque restaurant. WOW: Did you plan for The Sheep Walker’s Daughter to have a sequel? What advice do you have for writers who hoping to write a sequel to one (or more) of their novels? I had a different sequel in mind. I thought I might write about Dee’s discovery of the Greek side of her family, her mother’s people. The muse took me in another direction, so that became back story. Writers, if you think you have enough story and passion for your characters or setting to do a series, publishers love them. I don’t think it hurts to leave the door open and see what readers say. I’m hearing that the big publishing houses often insist on contracts that require authors to deliver a series of three or more books. WOW: What do you like to read in your spare time? Sydney: Really compelling literary fiction; gritty fare with a plot, like Philip Meyer’s The Son. I also like to read books that bring places I love to life; historical fiction like Edward Rutherfurd’s Paris or humorous memoirs like Adam Gopnik’s Paris to the Moon; short stories that showcase the talents of excellent writers like Ursula Le Guin, John Updike, Alice Munro and George Saunders. Last year, I read a short story a day for a year and gave a weekly report on my blog. WOW: I love that idea! What are you working on now? Sydney: I’m drafting a novel that spans forty years in the life of a young man raised in rural poverty who takes the road less travelled and winds up on the national stage. I explore the six degrees of separation we all have, only in this instance it is more like three degrees. 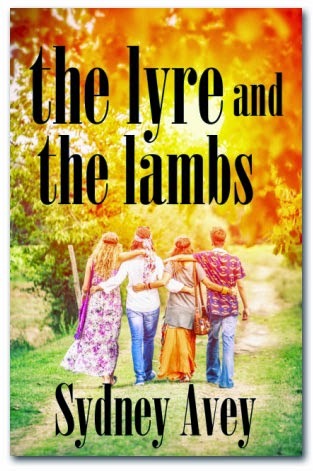 Stop by for an interview with Sydney Avey and enter to win a copy of The Lyre and the Lambs. Sydney Avey, who explores the mysteries of faith and family relationships in her writing, discusses the legacy of The Adult Orphan at Create Write Now. Learn about Sydney Avey's writing rituals and more in this interview with Lisa Haselton. Wondering if you should sell your book as part of a series? Sydney Avey discusses the pros and cons of writing a sequel at Selling Books. In this interview with Jodi Webb, Sydney Avey discusses how and why she weaves themes of faith into her fiction writing. Find out more about Sydney Avey's writing style in this fun interview at CMash Reads and enter to win a print copy of the book! Sydney Avey shares her insights with a guest post on "The Writer's Journey." Join Sydney Avey as she takes a look back at California culture, as it relates to her novel The Lyre and the Lambs. Take a peek into what's in Sydney Avey's "to-be-read" pile in this fun guest post at Renee's Pages. Why is it so important to review the books you read? Sydney Avey discusses book reviews at Choices. Cathy Stucker interviews Sydney Avey, author of The Lyre and the Lambs, at Selling Books. A well-written memoir has the ability to move even the most reluctant reader. Sydney Avey shares her thoughts on "The Power of a Story." Read about "Mothers and Daughters: Communication Across the Generational Divide" with this guest post by Sydney Avey. Book Giveaway Contest: Enter to win a copy of The Lyre and the Lambs Just fill out the Rafflecopter form below. We will announce the winner in the Rafflecopter widget on Friday, Sept. 12. Thank you for sharing your publisher and query process with us. It helps to learn from each other's stories!